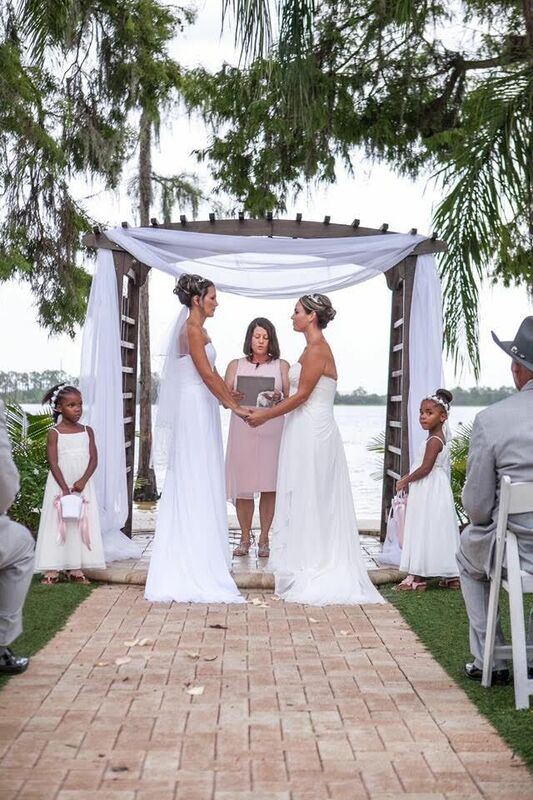 Petra + Ashley may not think of themselves as emotional people, but they sure brought everything they had to their Paradise Cove wedding! 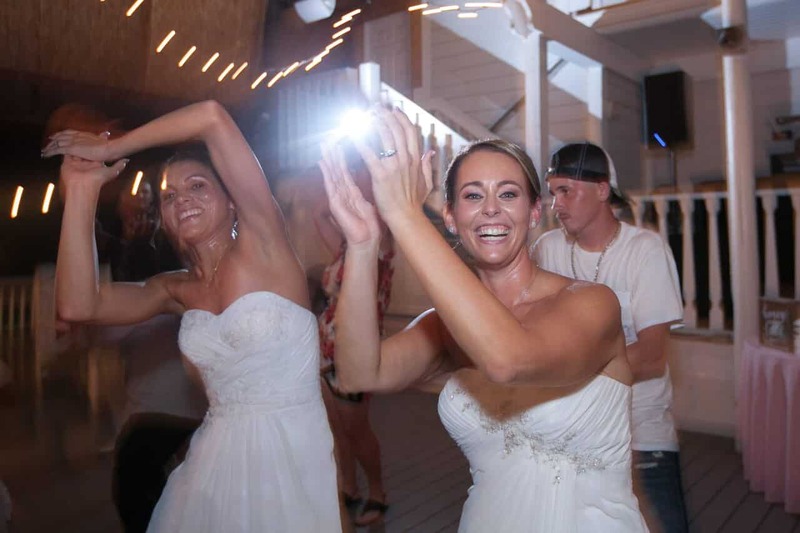 These beautiful brides celebrated their love with a lakeside ceremony followed by a huge dance party. This is what they had to say about their wedding day. Was there a memory from your wedding that sticks out more than others? Maybe romantic, maybe fun dance-floor related? Ashley: Saying our vows to each other. I was extremely nervous for this part, because I’m a pretty shy person. But once I started talking to Petra about our memories & the love I have for her, it all felt completely perfect. It felt as if it was just her and I with nobody else around. This moment truly made my heart happy. 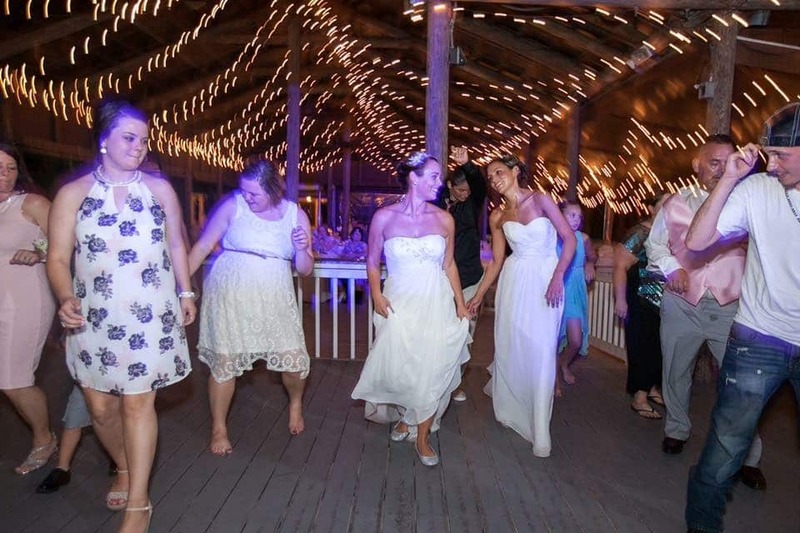 Petra: The moment I walked down to the aisle to Ashley. I’m not an emotional person, at all, but once I saw her standing there waiting for me, I couldn’t hold back the tears. I believe everyone was shocked! What is one piece of advice that you would give couples planning their wedding? Both of us: Just relax!!! Enjoy the planning and everything leading up to your big day. We both wish we could do it all over again! If you could change one thing about your wedding, what would it be (if anything)? We both believe our day ended up beyond perfect. If we had to pick anything to change, it would be the time of year we had our wedding. We had it in July because it worked best for Petra’s work schedule and our daughter was out of school. 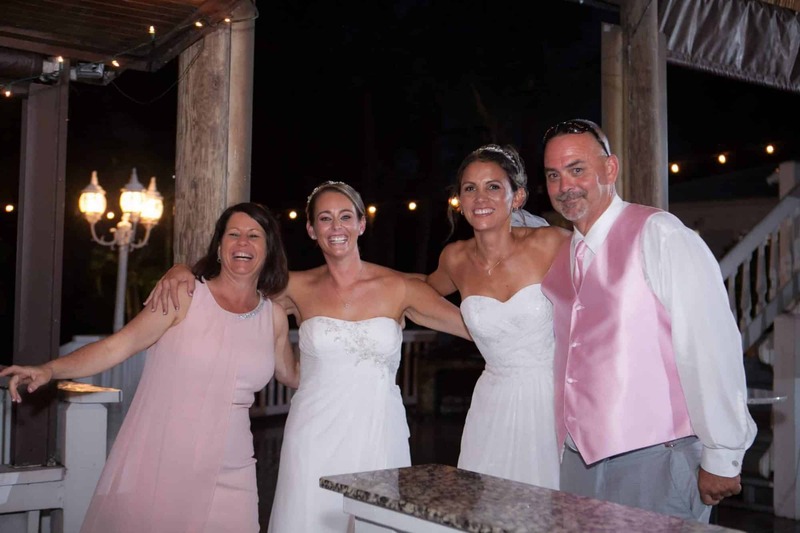 Why did you choose Our DJ Rocks as your DJ and MC for your wedding? 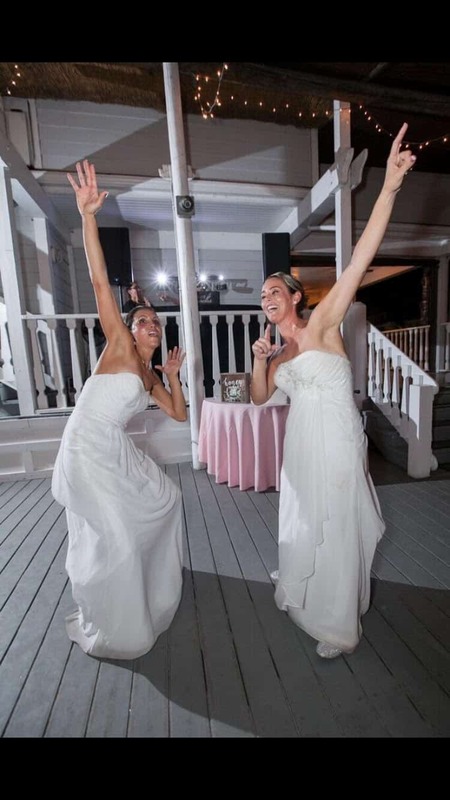 We were told about Our DJ Rocks when booking our venue, and all it took was looking up your page one time and we were hooked! 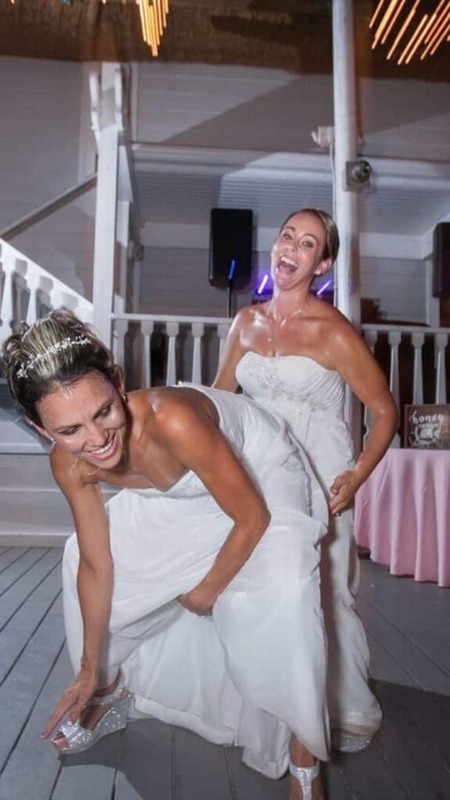 The one thing we wanted for our wedding was for everyone to have a good time. Clearly, just by seeing you all in your pictures and videos, you knew how to have a fun party! Thanks, Ashley and Petra! We had a blast with you guys, too!